BATESVILLE, Ark. – Arkansas producers can learn to get the most out of their pest management dollars at one of six pesticide application clinics set for February and March across the state. Feb. 22 – FORREST CITY – Woodruff Electric Cooperative Corp.
March 7 – MANILA – Manila Municipal Airport. 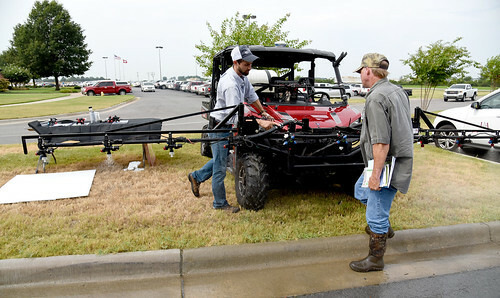 new technology to help them be more productive and efficient in the field,” said Jason Davis, extension spray application technologist for the University of Arkansas System Division of Agriculture. Registration opens at 8:30 a.m., with the agenda beginning at 9 a.m. Lunch will be served. For more information about these events, Jason Davis by phone at (501)749-2077 or email at jdavis@uaex.edu. For more information about application and pest management, contact your county extension office, www.uaex.edu/countiesor visit www.uaex.edu.